Wakefield Painted features a solid ash frame with internal moulding and a veneered ash centre panel. Brushed finish gives a greater depth of grain. These colours, on this page, are available from stock. Or you can select from an enhanced palette of colours, view here. 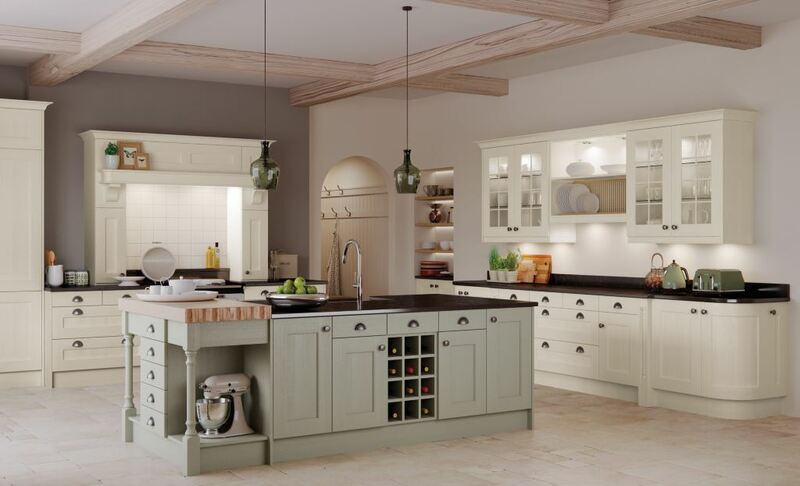 As part of our shaker kitchen collection the Wakefield is also available in an oak or sanded finish. You can view the Wakefield light oak here. 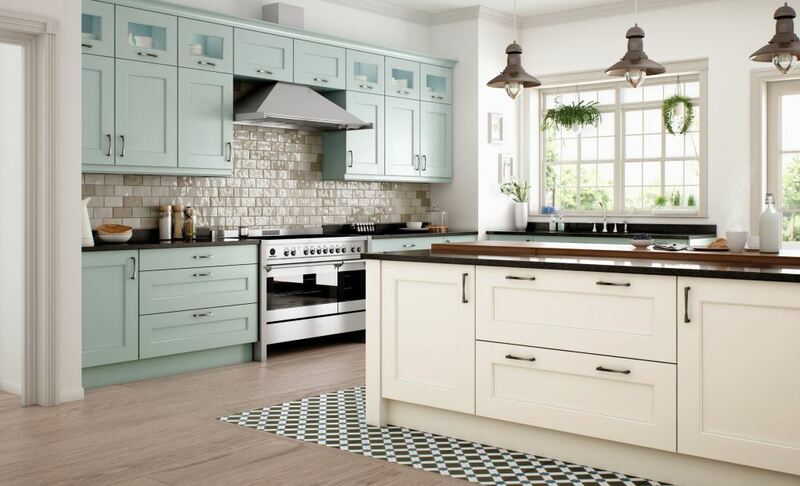 The Wakefield ivory has been combined here with the powder blue from the painted selection. 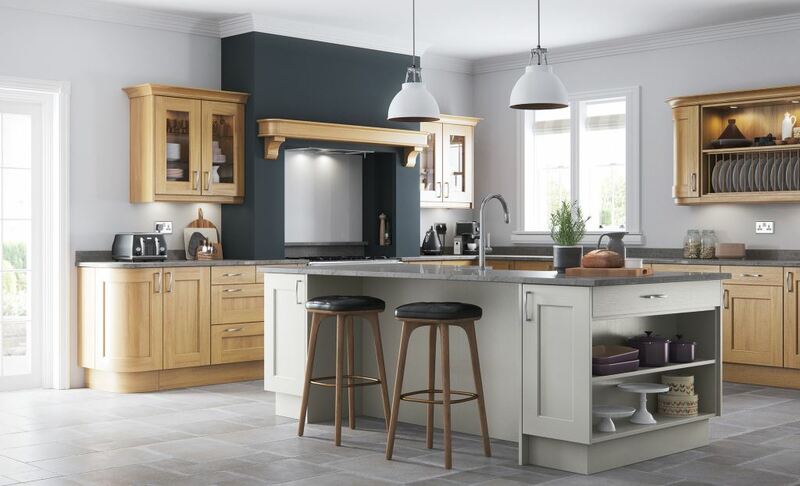 The Wakefield colours can be combined or look equally as good as a single colour as displayed in the light grey here. 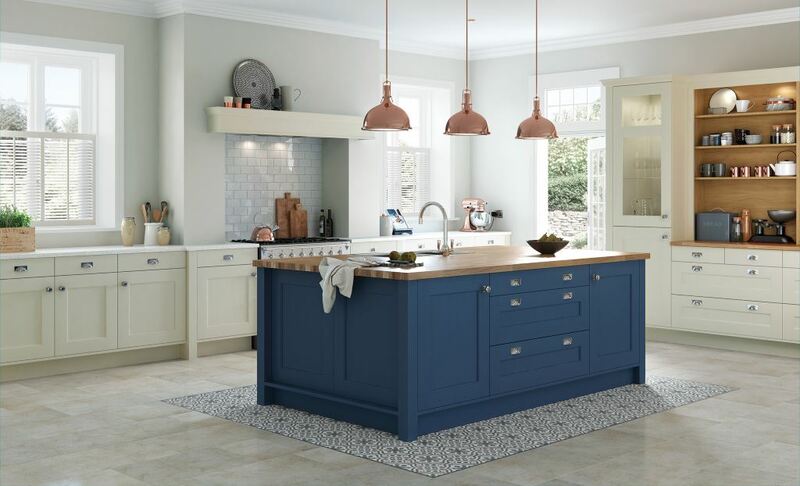 Combine colours throughout the kitchen such as the mussel with the painted parisian blue shown here. The sage green is featured here on the kithcen island. It has been combined with the ivory colour. 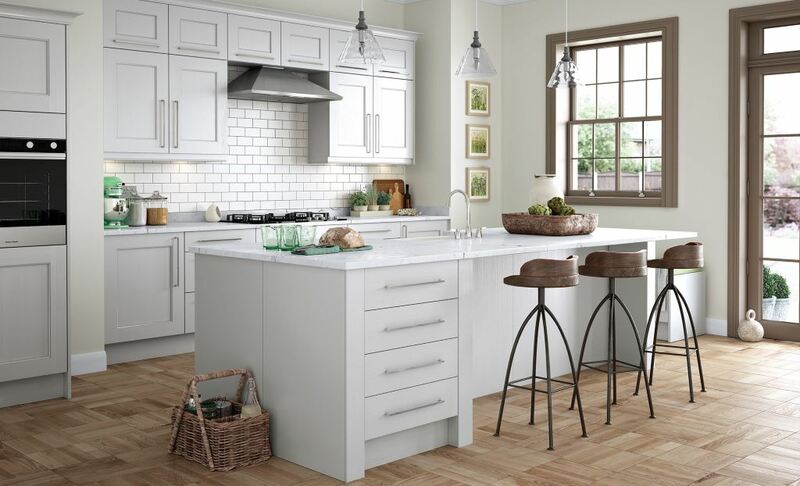 The Wakefield stone creates a stunning contrast by using the Wakefield oak elsewhere throughout the kitchen.